At the end of the 17th century, an age of religious wars, plague, and the Great Fire of London when most people saw the world as falling apart, these earliest scientists saw a world of perfect order. They declared that, chaotic as it looked, the universe was in fact as intricate and perfectly regulated as a clock. This was the tail end of Shakespeare's century, when the natural and the supernatural still twined around each other. Disease was a punishment ordained by God, astronomy had not yet broken free from astrology, and the sky was filled with omens. It was a time when little was known and everything was new. These brilliant, ambitious, curious men believed in angels, alchemy, and the devil, and they also believed that the universe followed precise, mathematical laws, a contradiction that tormented them and changed the course of history. 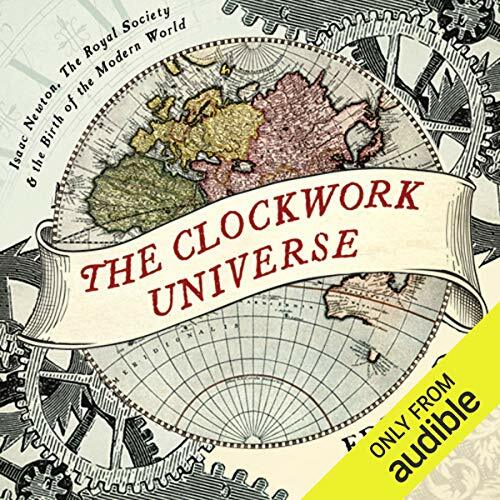 The Clockwork Universe is the fascinating and compelling story of the bewildered geniuses of the Royal Society, the men who made the modern world. 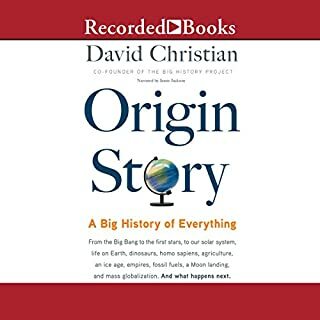 ©2011 Edward Dolnick (P)2011 Audible, Inc. I hesitated to buy this one after reading the reviews, so I felt obliged to offer a counter opinion. I thought the book excellent and the narration quite tolerable. While the author centers on the great calculus debate between Newton and Leibniz and tosses in a lot of anecdotal history, the book also functions as a very good primer on the foundations of modern science, treating it as the elaboration and application of mathematics to physical phenomena. The crucial step represented by a mathematics of motion is a central theme. His descriptions of the calculus and the weird conceptual innovation Newton called ???gravity??? are really very good and surprisingly clear in narration without any visual aids. He also paints a vivid picture of the physical and metaphysical worlds of the 17th century, including a welcome insistence on the essential role of religious faith, even mysticism, in the thinking of the early modern scientists. As to the narration, I can see why some people might find it slightly irritating. The reader has a plumy voice that dips into avuncular chuckles at points of irony, which can be a bit annoying. But I found the pace and tone very good for comprehension overall. 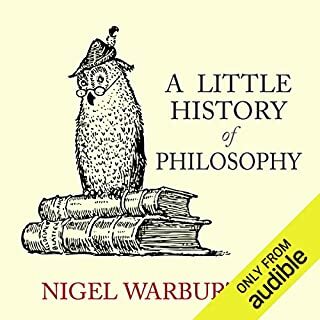 The lives of Newton and Leibniz make a marvelous story, and unless you are already familiar with them you will probably enjoy this book. The book is well written and researched. Dolnick uses simple language and short chapters to explain complex ideas in math and physics. Dolnick is a journalist with the Boston Globe and the investigative techniques of the journalist come through in his writing. I am amazed how vividly he portrayed living conditions of the time. This is a great book that triggers the reader to want to read the biographies of these early scientist. Alan Sktar narrated the book. Sktar is an actor and voiceover artist and an award winning audiobook narrator. 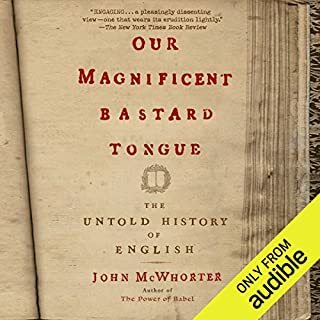 This book sets everything up with a concise account of the kinds of nonsense and "old wives' tales" people believed back in the Middle Ages. It's important to note that people in those times weren't stupid, but superstition permeated everything, and society kept locks on the doors of advancement for a long time, often out of fear. And then little by little, some brave and brilliant minds risked ridicule or worse and slowly unlocked the secrets that transformed our understanding and gave birth to modern science. This is that story of what they did, how they did it, and some of the drama that unfolded because of it. That drama is precisely why I make the remark in the title of this review. This book will reveal that the Dark Ages weren't quite so dark, the Enlightenment wasn't that enlightening, and yet we made it this far in spite of ourselves because of the chain of events that did transpire. It's an interesting account that fills in some of the story behind the story. The Royal Society comes alive. Featuring Kepler, Galileo, Newton, and Leibniz, the author explores the scientific golden age of the seventeenth century. The characters are lively, the science is fascinating, and the subjects diverse: geometry, calculus, physics, optics, and more. An absorbing read for anyone interested in the hard sciences and curious about their development. Mr Dolnick's book is basically about the scientific revolution which took place around the 17th century. It covers the discoveries of Kepler, Galileo, Boyle, Hook, Liebnitz, Newton and others. In an attempt to explain the science and the reasons the discoveries were of importance Mr Dolnick does what the reader would expect - he presents the mathematics and science in the simplest possible terms so that they are understandable to those with no scientific training. 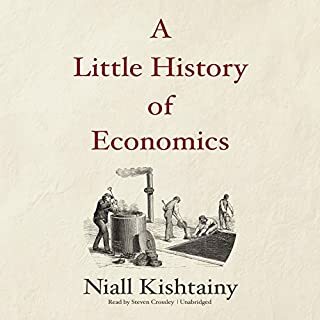 In this he does a credable job and, for the most part, the explanations make sense and are presented at a level that can be understood by those not "expert" in the areas involved. Mr Dolnick also tries to present the history of the discoveries in context with the times so that readers can understand how and why the discoveries were of importance. Some parts of this book work relatively well. Kepler's discoveries (the 3 Laws) are explained in simple terms, Galileo's work is explained in a way that readers can relate to and in a way that makes their importance to those in everyday life understandable. There is an extended section on infinite numbers and why they presented difficulties to early mathematicians and an even more extended section on the tragic, but inevitable, clash between Newton and Liebnitz. Mr Dolnick even mentions the problems this caused the British during the following years, although I believe he should have spent more time explaining why this was a serious problem for British scientists. Still he does make a stab at the issue. On the other hand I believe that there are issues with the presentation as well. First, Mr Dolnick seems to have a problem with religion in general and with those who are religious in particular. The first part of the book fairly reeks of religious intolerance and those who are "believers" are sometimes treated as fools. Secondly Mr Dolnick sometimes raises issues that he does not bother to finish. For example, what happened to Kepler's mother? While the book is not intended to be a scientific treatise on the issues I believe that those familiar with the science and mathematics are probably not going to enjoy entire sections of the book. In his attempt to make the issues understandable to the layman Mr Dolnick often uses terminology that is either incorrect or so "dumbed down" that it is difficult for those who know the subject areas to bear with. For example, no one in the Sciences has used the term "imaginary numbers" since I was in High School many, many years ago. The numbers are now referred to as "complex numbers" since they are not "imaginary" at all. And, in spite of Mr Dolnick's book, mathematicians today would almost universally say that they are involved in the discovery of "eternal truths" and that has not changed since the time of Kepler. Armithmetic is not, and never has been, part of modern mathematics past the 5th or 6th grade in school. I can only review and evalutate this book in the light I see it. If I were a non-scientist I suppose my review might be different but I am not and hence I find this book "off-putting" in entire sections. While I believe it would be of interest to those without much of a scientific background I believe it is of only very limited interest to those who are trained in the "exact sciences". On the plus side I believe that Alan Sklar's narration is very well done. This book is a great introduction to so many of history's most interesting genius's. 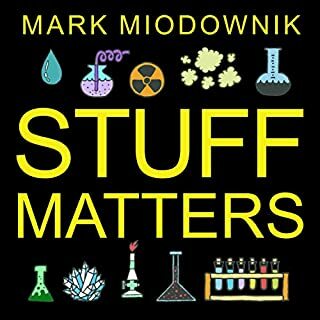 The major characters are Newton and Leibniz but the author manages to familiarize the reader with a near exhaustive list of scientific greats from throughout history. Don't worry about hearing too much about stuffy intellectual types, these guys are far from boring. 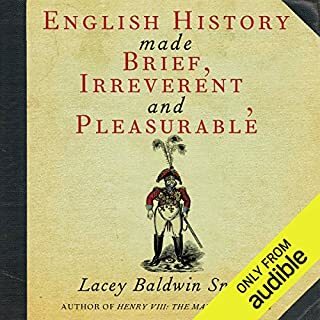 I didn't agree with all of the authors perspectives on these great men and the times in which they lived but all and all this is a solid and very informative book about a fascinating and turbulent time in history. The author covers a vast amount of material yet manages not to short change the subject. A light and fun history that manages to convey a large amount of information and leave the reader wanting more. Leaves much of the life, blood, controversies, feuds, and other interesting bits in. Makes you want to read biographies of just about everyone mentioned. The narrator is fantastic. This title is extremely entertaining. It covers and links historical figures and their achievements well but above all it’s delivered in an entertaining and often amusing way. Highly recommended to anyone even remotely interested in historical events and discoveries. The review would not be complete however without mentioning the quality of narration. Alan Sklar has become an instant favourite with me and I’ll be searching out other titles he’s worked on based on this book alone. What did you love best about The Clockwork Universe? This book captures the mindsets of great men and their contemporaries in a way that makes them believably human, rather than names thrown around in a science textbook. We understand their quirks, their theories and how they viewed the world. As a parting thought about the book, I have a question about why people today are separating science from religion even though it's clear some of the greatest scientists in history did their research with the intention of understanding God's universe better. Don't expect a history of Isaac Newton or the Royal Society. While you may find a lot of history, what you will hear is how people thought and understood the world in Newton and other great British and European thinkers' time. It helps you to understand the change in understanding our world. I think Edward Dolnick did a pretty good job in giving his listeners an understanding of the world from which the modern world sprang. Alan Skar also does a fair job of interepretative reading. I didn't find any reading down. I do think however Dolnick wrote as if he has futher evolved in his thinking than some other people, which could give certain people offence. All in all a good book but not really my cup of tea... or coffee. This book was very enlightening. There was so much in it that I didn't know or had never thought about. Since I'm currently taking Calculus II as part of my Computer Science degree, I found this book to be doubly interesting. It concludes explaining how Newton established and set in motion the science that undermines a god and yet he was so devout in his belief of him. Many Christians I know see Newton in such an incorrect light I hope that more of them will read this fine book. I really enjoyed this book for giving the gist of one of the most important periods in scientific history. While I think all of the things presented here are true, the tone is sometimes overly simplistic. In other words, it is a fantastic story, but not told with the proper degree of complexity and nuance.